On November 17 2016 the British government granted itself sweeping new powers to legally spy on citizens. The Investigatory Powers Act approved by Parliament at the end of last year is now largely in force. It provides the State with new surveillance powers to carry out targeted interception of communications, bulk collection of communications data, and bulk interception of communications. More specifically the Act requires communications service providers (CSPs) to retain records of websites visited by UK customers for one year. 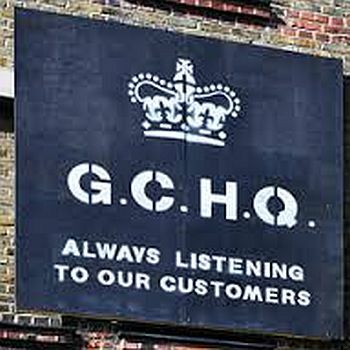 Powers are given to almost fifty State agencies including the police, the intelligence services, numerous government departments such as the Department of Work and Pensions and the NHS to access internet connection records, as part of a targeted and filtered investigation, without a warrant The police and intelligence agencies will also have increased powers to hack into computers and other devices such as smart phones and there will be a legal duty on CSPs to assist them. Existing measures to require UK CSPs to be able to remove any encrypted services retained. Anyone who reveals that a CSP has been requested to reveal data will have committed a criminal offence, but to ensure privacy anyone (apart from the government) who unlawfully accesses internet data can be prosecuted. In true Orwellian fashion Theresa May told parliament that the Act '"strictly limits the public authorities that can use investigatory powers, imposes high thresholds for the use of the most intrusive powers, and sets out in more detail than ever before the safeguards that apply to material obtained under those powers." However most commentators believe that measures intended to safeguard abuse by public authorities are largely inadequate. Edward Snowden who has previously revealed the true extent of state mass surveillance stated that "the UK has just legalised the most extreme surveillance in the history of western democracy. It goes further than many autocracies.” and the UK civil liberties group 'Liberty' commented that 'This new law is world-leading – but only as a beacon for despots everywhere". Predictably the government claim that these measures are required to protect us from terrorism, and equally predictably the measures were approved by compliant parliament with minimal resistance from Her Majesty's Most Loyal Opposition and the SNP who abstained from voting. "The precursor to May's Investigatory Powers Act ... was used by local councils to monitor dog fouling and by police forces to reveal the sources of journalists who had embarrassed them." In October 2016, the investigatory powers tribunal, the only court that hears complaints against MI6, MI5 and GCHQ, ruled that this was illegal. The fact that the State then got this passed so easily shows just how successful the propaganda over “the war on terrorism” has been. Big Brother will keep us safe if we let him into our lives. Our democratic leaders now feel sufficiently confident to officially endorse the most draconian surveillance of any so-called “liberal democracy”. It is indicative of the growing totalitarianism of so called 'democratic' societies' which is effectively endorsed by all the mainstream bourgeois political parties. None of this comes as a surprise to any but dyed-in-the-wool liberals. The ruling class are increasingly aware that they have no answer to the crisis of capitalism. At the recent G20 Summit the main talk was not of global economic policy but of fears of over the condition of a working class that has paid for the capitalist crisis so far. They fear this will not be tolerated for ever. They have no solution to permanent mass unemployment, poverty wages and disintegrating public services that must inevitably generate serious opposition from workers. The ease with which the State will be able to monitor dissidents will be an important weapon in their arsenal of repression against the working class.